Most patients with shoulder pain due to rotator cuff injury will respond to simple treatments such as physiotherapy combined with rest or exercise, depending on the condition. However, certain problems, such as recurring dislocations or rotator cuff disorders may require further physiotherapy rehabilitation or surgery. Our specialised orthopaedic physiotherapist has years of experience working with people experiencing shoulder pain caused by injury, whether they only require an exercise programme, or they are recovering from surgery. If your rotator cuff injury is simple enough that doesn’t require surgery, you can work with our London physiotherapist on a rehabilitation programme that will lead you to complete recovery. 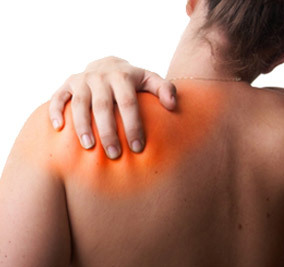 Immediately after the injury, our physiotherapist will focus on reducing pain and inflammation in your shoulder and maintaining your range of motion as much as possible. Mobility and stretching exercises will be prescribed, in combination with massage that will reduce any swelling and help you sleep more comfortably. Once the pain is subdued, you will focus on regaining full range of motion and strengthening the muscles that support the joint with specific resistance exercises and using light weights. While you regain your strength, you will gradually increase power in your exercises until you can return to your normal every day activities and sports. Certain rotator cuff injuries, such as tendon tears cannot be treated only with physiotherapy or exercise, and surgery may be recommended. This usually involves arthroscopy to remove scar tissue or repair torn tendons. In some cases open procedures are recommended for larger reconstructions or shoulder replacement. Physiotherapy rehabilitation is necessary after shoulder surgery and it is recommended to start immediately after the procedure, as prolonged immobilisation can cause stiffness and make it harder to regain range of motion. The recovery period lasts at least 12 weeks until you can return to normal every day activities and light exercise. In the first few days, cryotherapy and soft tissue massage will be used in order to reduce pain and swelling. Taping may also be used for compression and support. In the following weeks, our physiotherapist in London will use a variety of stretching and strengthening exercises in order to start regaining range of motion and to strengthen the muscles around your shoulder joint. Once you have achieved this goal, you can start working on more explosive exercises, adding weights in your strength training and gradually return to your normal every day activities and sports.